Play is important to early learning. We learn so much about the world through experience, and many of our first experiences are had through play! Whether it’s observing a ball roll down a hill or seeing how high we can stack a block tower, STEM awareness starts with simple, fun activities! Parents and teachers can encourage these experiences with toys that promote explorations in science, technology, engineering, and math. 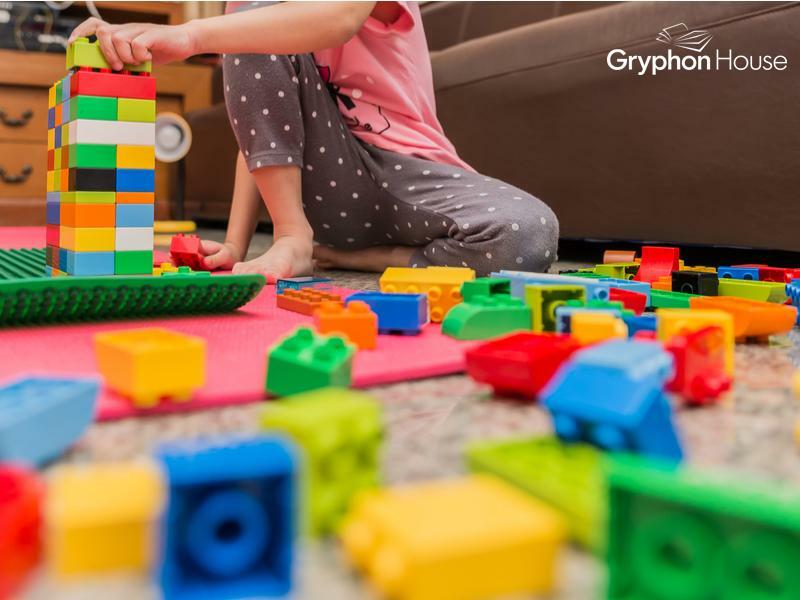 Gryphon House offers caregivers tons of options when it comes to providing educational toys for young learners. From block sets to toys that teach counting, there are plenty of creative items that will build your child’s STEM skills. 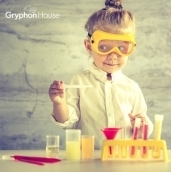 Here are a few of our favorite toys and learning tools for promoting STEM exploration. Grippies® Curves. Introduce young builders to organic construction and social-emotional expression with the curved shapes of toddler STEM toy Grippies® Curves. Inspired by shapes found in nature, the colorful curved rods with secure magnetic ends encourage magnetic and tactile exploration through patterning and 3D construction. With cute faces on the over-molded metal ball connectors, toddlers can create expressive characters or expand their builds. The tactile, soft-touch pieces make Grippies® Curves easy to hold as young children practice their dramatic narrative and building skills. For 18 months & up. FEWW® Geometric Bubble Wands. Explore the beauty of geometric shapes with these colorful Geometric Bubble Wands. Dip the wands into your bubble solution until all sides of the 3D wire shapes are coated. Once the wands are ready to go, blow gently through the openings to form unexpected interior bubbles. 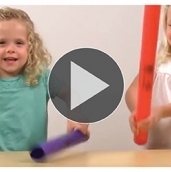 These fun wands encourage spatial awareness and geometric concepts, as well as scientific curiosity. For 3 years & up. Start-Up Circuits. When kids click together these chunky pieces and then flip the switch, they'll get an exciting result: either a spinning fan, a glowing light, or a whistling siren. All switch blocks are interchangeable for mixing, matching, and experimenting with actual working circuits in a completely safe way. Young children will develop an innate understanding of circuitry and build a strong foundation for future STEM success. For 2 years & up. Number Pops™. These pops present a fine motor manipulative and number builder all in one! Pop the shell over the matching dots to make a match—perfect for teaching 1 to 1 correspondence as your little learners learn to count and recognize numbers! The ice-cream pop design also provides a fun way for your children to exercise their fine motor skills as they match the coating to the ice cream. For years 2 & up. Totter Tower. A fantastic building activity that helps children develop a sense of geometry and spatial awareness, as well as hand-eye coordination. The distinct angle of the bamboo pieces creates endless possibilities for making exciting shapes and structures. 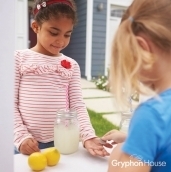 Play with it as a game or construction activity, and watch as your little learner makes new discoveries about building, gravity, and spatial reasoning. For 3 years & up. 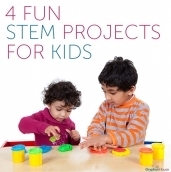 4 Fun STEM Projects for Kids!